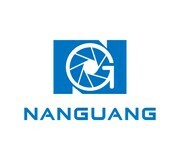 NanGuang CN-576, adopt 576pcs high configured LED bulbs, Ra:95 , standard color temperature 5600K . It’s a portable studio light. Suitable for studio, TV station, micro film, AD and wedding photography. 1.Adopt selected high brightness and flicker free LED bulbs, high CRI 95, standard color temperature 5600K. 2.High quality ABS housing, light weight and durable, with groove design at the back to be easily handheld and portable to carry out. 3.Good heat dissipation, passive air cooling, not affect the lighting and long service life. 4.Flexible handle design, that it makes the lighting direction and angle could be freely adjustable. 5.Multiple power supply available: 100-240V AC, 7.2-12V DC, Sony NP-F, NP-FH, NP-FM battery (One battery can be normal supply power for the light).